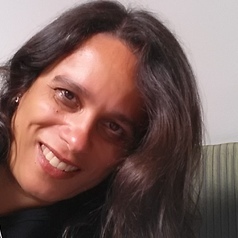 Dr Maxine David is a Research Fellow at the Global Europe Centre, University of Kent, UK, a Lecturer at Leiden University, the Netherlands and is Co-Editor of the Journal of Contemporary European Studies (JCER). Her research focuses on the foreign policies of Russia, the UK and the European Union. Published works include the May 2013 edited collection, National Perspectives on Russia: European Foreign Policy in the Making?, published with Routledge; the January 2015 Special Issue "Modernisation in EU-Russian Relations, published in the journal European Politics and Society, for which Maxine was Co-Editor and single author of an article "New Social Media: Modernisation and Democratisation in Russia". She is particularly interested in the role of structure, both domestic and international, and its effects on the capacity of states to operate as independent actors. She is currently working on a monograph The Agency in Putin's Foreign Policy.